This topic contains 1 reply, has 2 voices, and was last updated by jw 1 month, 3 weeks ago. See message below for Clinic Registration. Races are over for this year! Online race registration & registration by mail is now available on our races page. We will close online registration on Wednesday March 20 at 11:59PM. The ACA online waivers may close before then. 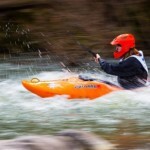 Let’s have an amazing 2019 Missouri Whitewater Championships!! This topic was modified 1 month, 3 weeks ago by jw. Clinic Registration is also open now. Clinic Safety Boaters can volunteer here. This reply was modified 1 month, 3 weeks ago by jw.